Adoption Network Cleveland’s Weaving Cultures provides a space “for families to come together to compare notes, receive support, and share advice,” said Krysia Orlowski, a parent coordinator and facilitator of the program. Krysia first found Adoption Network Cleveland through another program, Adoption 101: Where Do I Begin? during her daughter’s adoption. 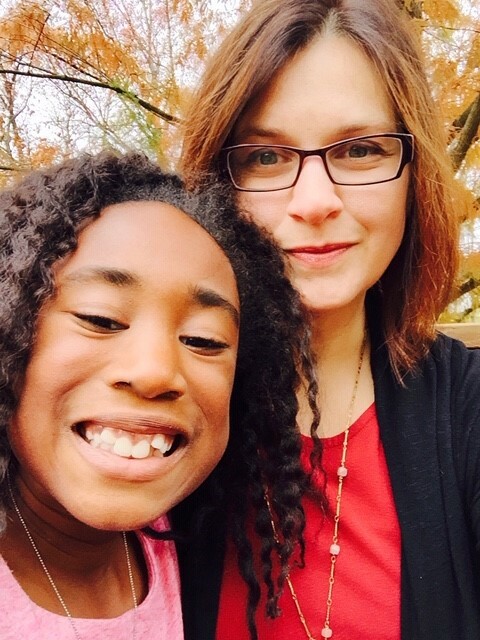 Choosing to adopt transracially was a decision with many serious considerations for Krysia, even with her experience of being raised in a transracial household. “When you’re going through the adoption process, no one ever sits down and tells you . . . there are all these things culturally, physically, educationally that you’re going to have to know how to support your child through,” said Krysia. Since 1994, adoption and foster care professionals have not considered race in their placements because of the Multi-Ethnic Placement Act, known as MEPA. The law was put in place to eliminate racial and ethnic discrimination in the placement process, but has also seen its challenges, specifically limiting the content of conversations during the process. The purpose of the Weaving Cultures Transracial Adoptive Family Group is to offer a setting where both children and adults can form relationships and spend time with other families who share similar experiences. The group welcomes all families parenting a child of a different race or ethnicity either through domestic or international adoption. For their next outing, Weaving Cultures will gather at Adoption Network Cleveland’s Winter Ball on Sunday, February 17 from 2:00 to 5:00pm at the Kiwanis Lodge in Richmond Heights. Please RSVP at on our website. To learn more, please contact Krysia Orlowski, parent coordinator, at krysia_orlowski@hotmail.com, or Ayanna Abi-Kyles, Family Support Coordinator, at ayanna.abikyles@adoptionnetwork.org or (216) 482-2331. Camille Rose Smith is the Development Coordinator at Adoption Network Cleveland.